Sports in Los Angeles have a long, checkered, decorated, and sometimes turmoiltious history. There's plenty of amazing experiences to be had in LA, from catching a foul ball at Chavez Ravine to rubbing elbows with celebrities at Lakers game. If you’re a sports aficionado, but an LA amateur, here’s what you need to know about the city’s sports scene before you attend a game. 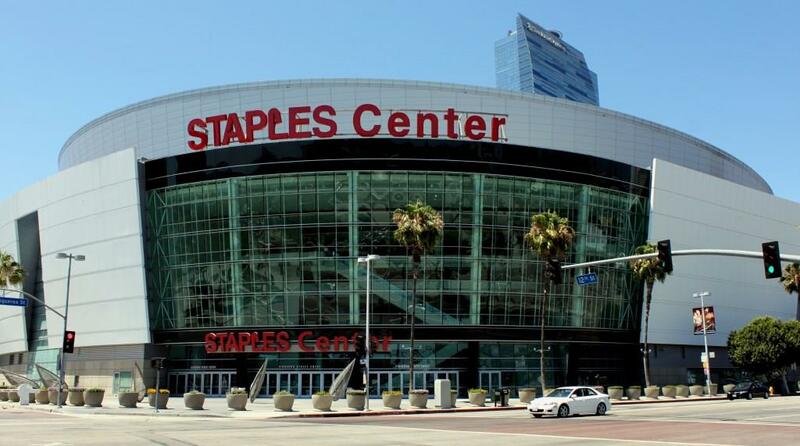 Los Angeles’s most popular sports team, both worldwide and in the city, is the Lakers. The history of the Lakers is as packed with artistic brilliance as the LACMA, and bolsters as many accomplishments as the names on the Hollywood Blvd. walk of fame. Since 1980, the Lakers have won 10 of the 35 NBA Finals. They’ve bolstered legends and stars like Kobe Bryant, Kareem Abdul-Jabar, Magic Johnson, Shaquille O’Neal, James Worthy, Jerry West, and even Wilt Chamberlain. They have close to 10 times as many facebook likes than the next most popular LA team. Even when the Lakers aren’t winning many games (which is rare), the fans still flock to their games more than they do any other team in the city. Los Angeles loves the Lakers more than anything; and the love is pretty serious, because there’s a lot of rings involved. Once an afterthought in the sun-drenched Los Angeles market, hockey has become a focal point of the LA sports fan experience. The reason is the hometown Kings are really good now. After a dominant Stanley Cup Championship run in 2011, the Kings have proven themselves to be an elite NHL team, winning another championship and proving themselves as one of the league’s toughest teams to beat year after year. The fanbase passion displayed at the Staples Center has allowed it to become a great environment for one of the best sports experiences there is: live hockey. LA fans support the Kings and Dodgers, and most of them would rather sit in freeway traffic for two-and-a-half hours than go to a Ducks or Angels game. In 1984, Los Angeles got a second NBA team: The Clippers. Los Angeles is big enough for two professional basketball teams, so this idea was good in theory. The only problem is that the Lakers had captured the imagination of the entire city already, and there was little room for the Clippers to make an impression on Angelenos. In 1984, the Lakers were coming off back-to-back Western Conference championships and had won the NBA title twice in the previous 5 years. There was little purple and gold failure to drive the fans away from the Lakers and little success to drive fans to the Clippers. Over the last 5 seasons, the Clippers have clearly been the superior basketball team in Los Angeles, and yet the vast majority of LA’s fan support still goes to the Lakers. One day, the Clippers may inspire the next generation and show the city that they are a serious contender in the NBA. For now, the Clippers will just be the Lakers’ little brother. The Food in Los Angeles is Outstanding, and Dodger Stadium is no exception. The Dodger Dog is yet another example of Los Angeles’ sports exceptionalism; it is the cornerstone of all the Ballpark food in America. These 10-foot hot dogs are available in several varieties; on one side of the food spectrum, there’s vegetarian Dodger dogs, and on the other there’s deep-fried Dodger Dogs and Dodger Dogs covered in Fritos (Frito pie dogs). 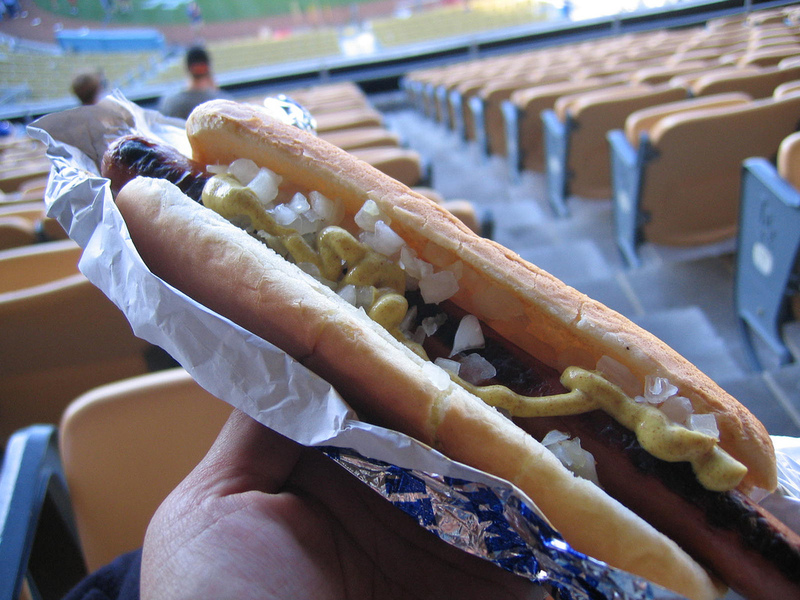 Since legendary Dodgers announcer Vin Scully began to speak praises of the uniquely long hot dogs, they’ve earned the collective admiration of the Dodger faithful. The first time you taste one, you’ll understand. L.A. fans will finally get to see live NFL games again next season when the Rams return to the L.A. Coliseum. Not everyone will be excited about the re-emergence of the blue & gold. For one thing, the Rams shared the L.A. market for some time with the Raiders, who captured the imagination of large swaths of the city with their merciless attitude and hard-nosed style of play. Furthermore, the Rams have been away from the city for more than 20 years, and the last time they were here their popularity was insignificant. Their final game before moving to St. Louis drew under 30,000 fans. Rams games nowadays might become home games for L.A. transplants; there are plenty of residents who have relocated from other cities and kept those sports allegiances eager to watch their former teams in Los Angeles for the first time. The golden rule of sports, however, is that “winning cures all ails.” If the Rams begin to emulate their St. Louis, “Greatest Show on Turf” days, the L.A. sports fandom might change their tune. 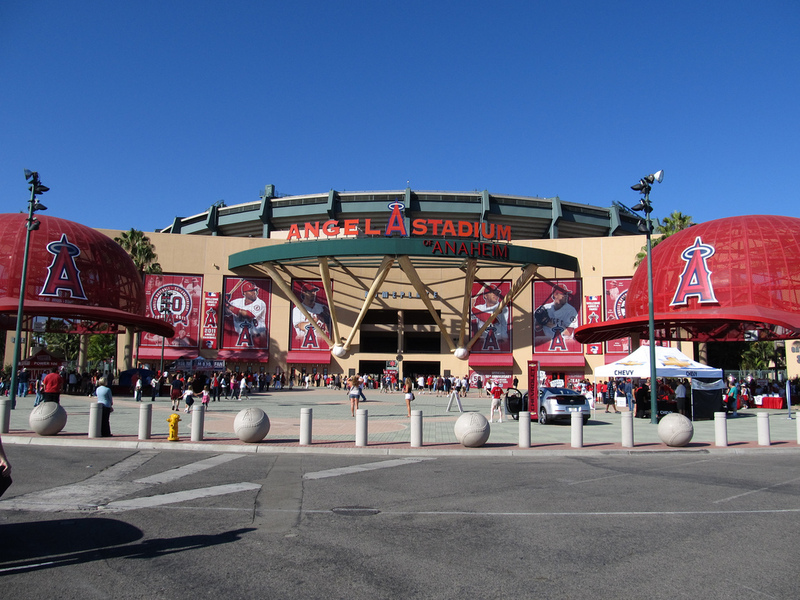 Driving everywhere in L.A. is a pain, but it’s particularly tiresome when trying to attend sporting events. For weekday Dodgers games, a Chavez-ravine bound vehicle will not only have to contest with a large amount of the 50,000-some odd masses making their way to the ballpark; they’ll also be dealing with usual city commuter traffic. This isn’t even including the nightmare that can become finding parking. Don’t get us wrong; the LA sports experience is still worth the hassle. It’s just best to keep in mind that an unobstructed, quick trip to the game is rare. Ah, Kobe. The Los Angeles Lakers have had a plethora of stars over the years, and yet he shines brightest. From 5 NBA championships, an 82-point game, and legendary moment after legendary moment, no athlete has inspired the passion of Los Angeles fans more than Bryant has. Now in his final season of professional basketball before his retirement, Kobe Bryant has drawn the masses out in droves to see him ball one last time. 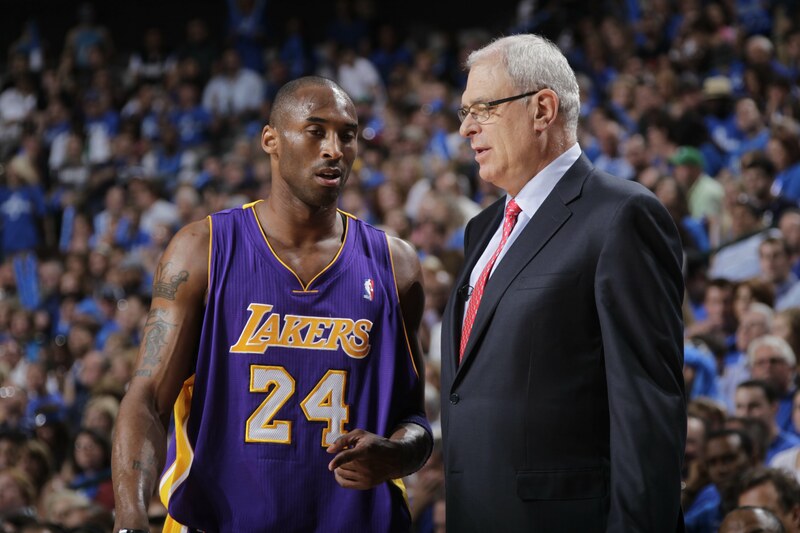 When Kobe leaves the Lakers, a huge hole in leadership, iconography and talent will need to be filled. His legacy is not up for question in Los Angeles: he is one of the greatest basketball players ever, if not the best. In Los Angeles, don’t name other names. From Kobe to Shaq, Magic to Worthy, Paul to Griffin, Gretzky to Quick, Kershaw to Puig and even Beckham to Donovan, L.A.’s sports scene is defined by its stars. There is no place that a superstar can shine brighter than the city of angels. Most people know Los Angeles for Hollywood, but plenty remember the Lakers’ “Showtime” era. When soccer’s most famous player (David Beckham) came stateside, there was only one city to go to: Los Angeles. When Kobe retires, the Lakers will need to find a star. When the Rams return, they’ll be looking to birth a star. Though successful L.A. franchises like the Kings have achieved without hugely iconic players, that larger-than-life figure is what will draw the crowds and inspire the most enthusiasm. And it's not just the players that are famous - L.A. has the most famous fans, too! You'll see Jack Nicholson courtside at every Laker game, and Tom Hanks will often be seen by the glass at Kings games. There's too many examples to name; your chances of running into a star at the game are too good to pass up. It’s all about the jewelry case in L.A. Sports, and the city is no stranger to success. Since the turn of the century, the city has won 5 NBA championships, 2 Stanley Cups and 5 MLS Cups, averaging a title nearly every year. L.A. legends like former Lakers coach Phil Jackson, Kobe Bryant, Magic Johnson, Landon Donovan, and now Jonathan Quick, are remembered by their immense resume of accomplishments, driving their teams to title after title. The next generation of L.A. athletes will be expected to live up to their legacy. Before you catch your first game as an L.A. resident, book Oz to make sure your move is smooth like a Derek Fischer three-pointer. 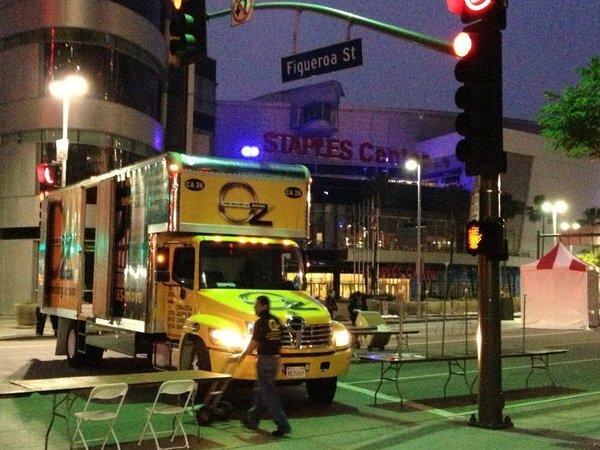 See More: Moving Your Football Team to L.A.